By now, you should be quite familiar with the operation of the workbench and how it uses views and editors to display information. If not, read the quick tour of the workbench below. The sections following the quick tour will look at the workbench user interface from an API perspective. We will show how a plug-in can contribute to the workbench UI. The workbench is the cockpit for navigating all of the functionality provided by plug-ins. By using the workbench, we can navigate resources and we can view and edit the content and properties of these resources. When you open your workbench on a set of projects, it looks something like this. The workbench is just a frame that can present various visual parts. These parts fall into two major categories: views and editors. Editors allow the user to edit something in the workbench. 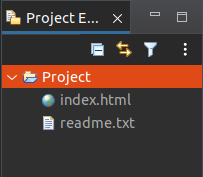 Editors are "document-centric," much like a file system editor. Like file system editors, they follow an open-save-close lifecycle. Unlike file system editors, they are tightly integrated into the workbench. Views provide information about some object that the user is working with in the workbench. Views often change their content as the user selects different objects in the workbench. Views often support editors by providing information about the content in the active editor. The workbench provides several standard views that allow the user to navigate or view something of interest. 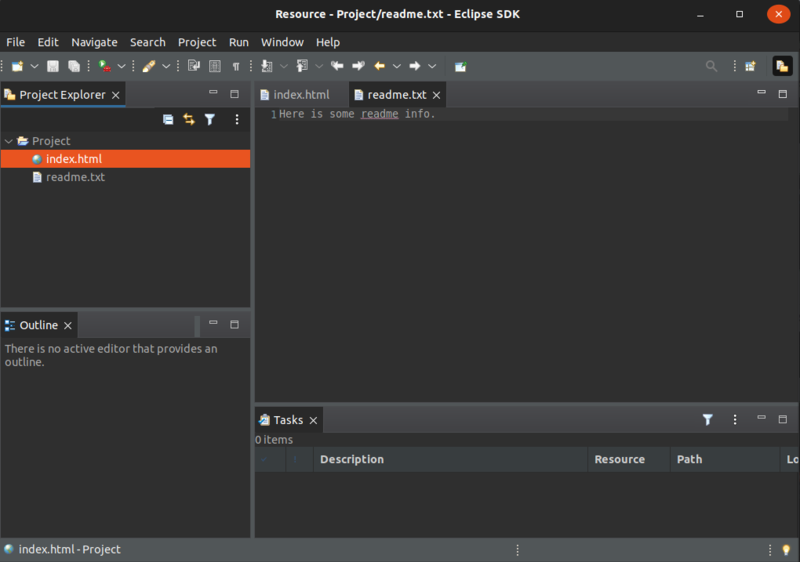 For example, the project explorer lets the user navigate the workspace and select resources. Editors allow the user to open, edit, and save objects. The workbench provides a standard editor for text resources.